For other uses, see YUS. 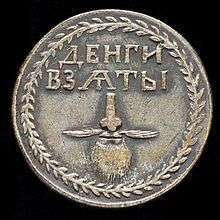 Little yus (Ѧ ѧ) and big yus (Ѫ ѫ), or jus, are letters of the Cyrillic script representing two Common Slavonic nasal vowels in the early Cyrillic and Glagolitic alphabets. Each can occur in iotified form (Ѩ ѩ, Ѭ ѭ), formed as ligatures with the decimal i (І). Other yus letters are blended yus (Ꙛ ꙛ), closed little yus (Ꙙ ꙙ) and iotified closed little yus (Ꙝ ꙝ). Phonetically, little yus represents a nasalized front vowel, possibly [ɛ̃], while big yus represents a nasalized back vowel, such as IPA [ɔ̃]. This is also suggested by the appearance of each as a 'stacked' digraph of 'Am' and 'om' respectively. The names of the letters do not imply capitalization, as both little and big yus exist in majuscule and minuscule variants. All modern Slavic languages that use the Cyrillic alphabet have lost the nasal vowels (at least, in their standard varieties), making Yus unnecessary. Big Yus was a part of the Bulgarian alphabet until 1945. However, by that time, in the eastern dialects the back nasal was pronounced the same way as ъ [ə]. Because the language is based mainly on them, the western pronunciations were deemed unliterary and the letter was gone. There are some Bulgarian and Macedonian dialects spoken around Thessaloniki and Kastoria in northern Greece that still preserve a nasal pronunciation: [ˈkə̃(n)de ˈɡrẽ(n)deʃ ˈmilo ˈt͡ʃẽ(n)do] ('Where are you going, dear child?'). On a visit to Razlog, in Bulgaria's Pirin Macedonia, in 1955, the Russian dialectologist Samuil Bernstein noticed that the nasal pronunciation of words like ['rã(n)ka] (hand) [ˈt͡ʃẽ(n)do] (child) could still be heard from some of the older women of the village. To the younger people this pronunciation was completely alien; they would think that the old ladies were speaking Greek! Little and big yuses can also be found in the Romanian Cyrillic alphabet, used until about 1860. Little yus was used for /ja/ and big yus for /ɨ/. ↑ "Cyrillic: Range: 0400–04FF" (PDF). The Unicode Standard, Version 6.0. 2010. p. 41. Retrieved 2011-10-31. ↑ October 27, 1955 entry in Bernstein's diary, Зигзаги памяти. Bernstein transcribed the words as рънка, чендо.